Looking to get away? You can’t get much farther from your cares than when paddling to a remote Virginia island or scenic shoreline and overnighting under the stars. And here in Virginia, you have a wide variety of places to put in your kayak or canoe then paddle to an island or shoreline and camp. The next day – or the next week — paddle back to the put-in at your leisure. 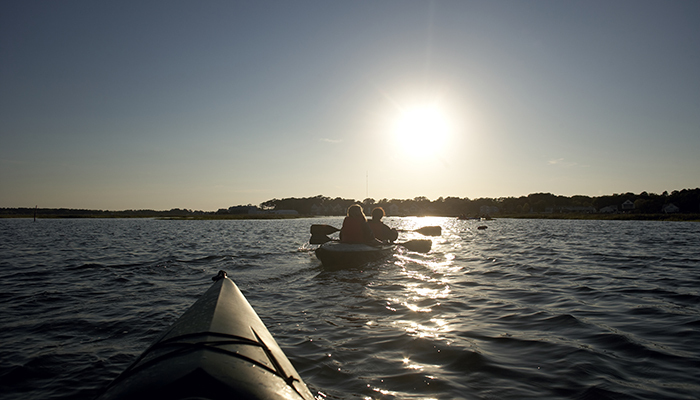 You can take a sea kayak to a barrier isle in the Atlantic Ocean, such as Mockhorn Island, or canoe out to an isle on a freshwater reservoir, such as Buggs Island Lake, then pitch your tent on a lake island. Head to the beautiful banks of the Potomac or Rappahannock Rivers. You can even camp on an island on a mountain river. Read on, find your Virginia paddling paradise and paddle into camp. The Adventure: Sea kayak out from the Eastern Shore community of Oyster to this barrier island, a state of Virginia wildlife management area. The low-lying marshy place is riddled with channels and sloughs of its own. Though Mockhorn Island is uninhabited now, paddlers and campers visiting the isle will see old structures and concrete walls that belie the island’s past as a hunt camp and military post. Paddlers leaving Oyster can cross Mockhorn Bay then head south along the west side of Mockhorn Island. The farther south you go the less marshy the isle. Watch for limited landing spots before cutting through channels to enter Magothy Bay. You will eventually reach the southern tip of the island with small beaches and the former inhabited area. It is about 10 miles one-way from Oyster to the southern tip of Mockhorn Island. Here, concrete walls kept an inland area freshwater. The land was once farmed and cattle ran here. You’ll see relic buildings. The camping is completely primitive, pitch your tent and explore the shore and history. Skidmore Island and the Chesapeake Bay Bridge stand to your southwest. Additional day paddling possibilities abound. The Adventure: Saxis Wildlife Management Area is the setting for this paddle to small shoreline beaches suitable for camping. The area is located on the upper end of the Eastern Shore near the Maryland state line, part of Chesapeake Bay. The wildlife management area covers over 5,000 acres of mostly marsh but the aforementioned small beaches making paddle camping possible. Several boat ramps allow you to pick your point of entry then hit the water. A recommended trip leaves the ramp on Starling Creek at Saxis, then winds westerly. If the winds are calm, circle around the beaches of Tunnel Island opening into Beasley Bay. Head easterly toward South Point and aim for a small southwest facing beach on Rock Gut. It is about 7 miles one way if you circle around Tunnel Island, though you can shorten it by 3 miles by taking small creeks and a more direct route. A shorter trip leaves Saxis and heads northeast around Northend Point then to a small northwest facing beach in Robin Hood Bay. This is 3 miles one way. Nearby Jacks Creek begs exploration from this spot. The Saxis WMA map will help keep you on their lands, where camping is permitted. 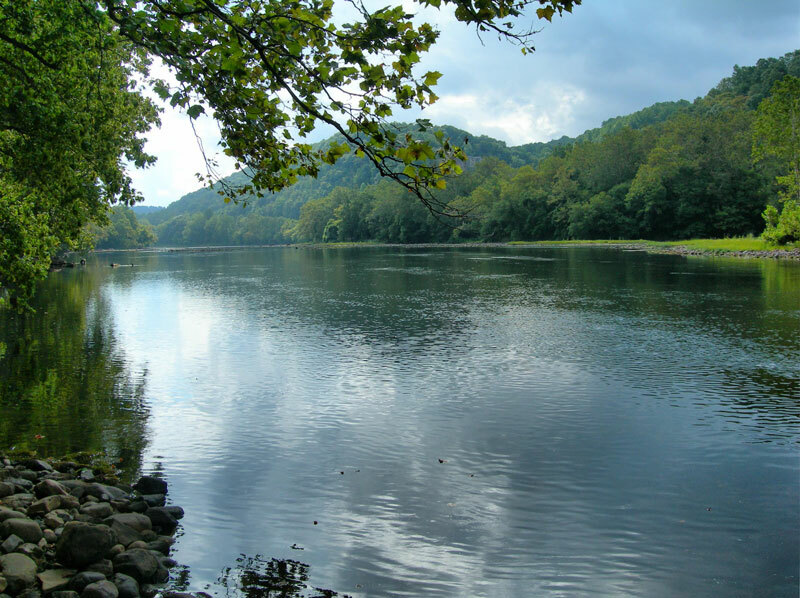 The Adventure: This is but a short paddle to a cool island in the middle of the New River. Part of New River Trail State Park, you reserve a site on Baker Island, then paddle your own kayak or canoe a short distance from the state park boat ramp to pitch your tent on primitive Baker Island. Seven designated tent sites are available. Reserve your site ahead of time. The canoe/kayak landing is on the south side of Baker Island. From there, take a short trail to the designated sites, each with a tent pad and fire ring. Two pit toilets stand on the island. Bring your own water. Swim, fish or just listen to the river flow. Land based activities can be found near the launch ramp. 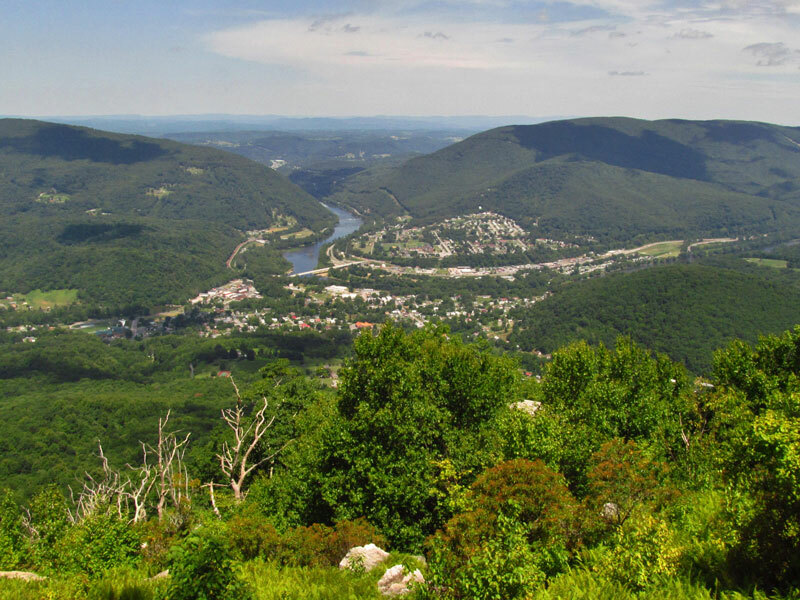 Visit historic Foster Falls village, bicycle the New River Trail, a converted rail line, or paddle a gentle segment of the New River from Austinville to Foster Falls. The Camping: Designated sites, each with fire ring, lantern post and picnic table. Camp area has water and toilets. The Adventure: Philpott Lake is a big scenic impoundment of the Smith River. The reservoir has many inlets divided by wooded ridges and islands. Deer Island came to be after the damming of the Smith River. 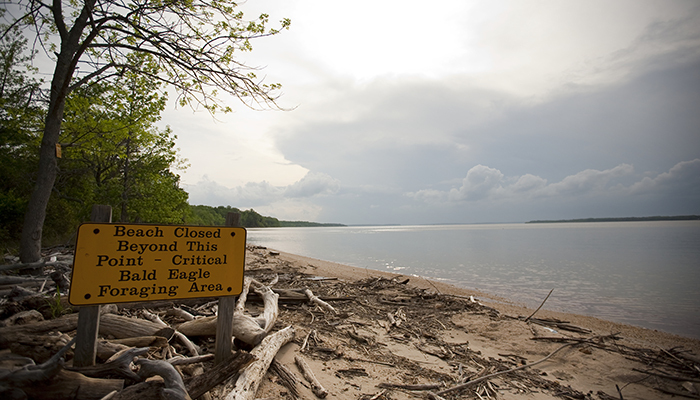 Today, the U.S. Army Corps of Engineers manages the island as a primitive boat-only accessible campground. To get a permit you must stop by either Salthouse Branch Park or Bowens Creek Park. During the off-season camping permits are available at Ramp 1 and Goose Point. The closest paddle is from Salthouse boat ramp – less than a half-mile, though paddlers can easily lengthen the trip by starting at one of the many lakeside ramps on Philpott. It is about 3.5 miles from the ramp at Bowens Creek. You can explore the lower part of the lake before landing on the north side of Deer Island. The campsites are situated in three clusters 1-7, 8-14, and 15-20. Coveted campsite 21 is situated all by itself. Each cluster has a toilet and the island offers two water spigots. Explore the lower part of Philpott Lake by day, making forays into adjacent waters bordered by wooded shores. The Camping: Stay at an on-water inn situated on a tidal creek. The Adventure: Sick and tired of your auto commute? Change the game entirely with an overnight experience at The Inn at Tabbs Creek. It’s called paddle commuting – and there’s no traffic and gorgeous scenery at every turn. You can paddle to The Inn at Tabbs Creek from the town of Mathews. Put-in at Put In Creek. It is about 5 miles one way to the inn. Trace the slender channel of Put In Creek, keeping south, opening onto wider water. Pass Town Point landing then enter the North River, which connects to Chesapeake Bay. However, you will turn east into intimate Tabbs Creek before entering Chesapeake Bay. The Inn at Tabbs Creek stands on a point overlooking the creek, with its own dock. Alternatively, you could carry your stuff in the boat or simply drop it off at the inn before you start. Or, you could just drive up to the inn, set up your “camp” then make a paddle commute into Mathews. Hop out of your kayak, then stroll on over to the White Dog Bistro or Southwind Pizza for a meal, then return to The Inn at Tabbs Creek. How’s that for fun? It puts a whole new spin on commuting. Plenty of other waters to explore in the region, as Mathews County is home to the Mathews Blueway, a series of 5 water trails covering over 90 miles of paddling pleasure. 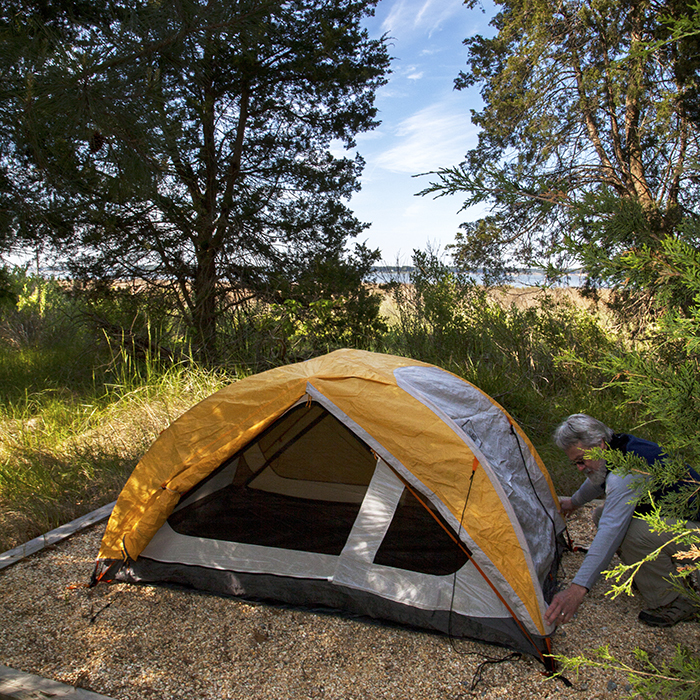 The Adventure: This park features 6 developed backcountry campsites on the south shore of the tidal Potomac River. Call the state park to reserve your site in advance. The sites are nice, situated at once was Stuart’s Wharf, now part of the state park. Each of the camps features a picnic table, fire ring and lantern post. The camp is part of the greater Captain John Smith Water Trail, though backpackers also access the camps by a four-mile hike. Paddlers are challenged by a limited number of public boat ramps in the immediate area. However, Dahlgren Wayside Park, at the US 301 bridge crossing from Virginia into Maryland presents a convenient launch point but no overnight parking. It is a 10-mile paddle as you skirt the Virginia shore, heading north until Mathias Point, where you and the Potomac River turn west. Stay along somewhat rural shore then reach the camp, located a little west of Metompkin Point. You will be on big waters the whole way so watch the winds and the tides. An alternate but longer paddle starts at Aquia Bay Marina. Here, you paddle east out of Aquia Creek, then into the Potomac, passing the community of Fairview Beach, making about 14 miles one way. Caledon State Park does not have a boat launch. The Adventure: This adventure requires a little planning, but you can do it. Campers must call ahead or go online and make reservations. 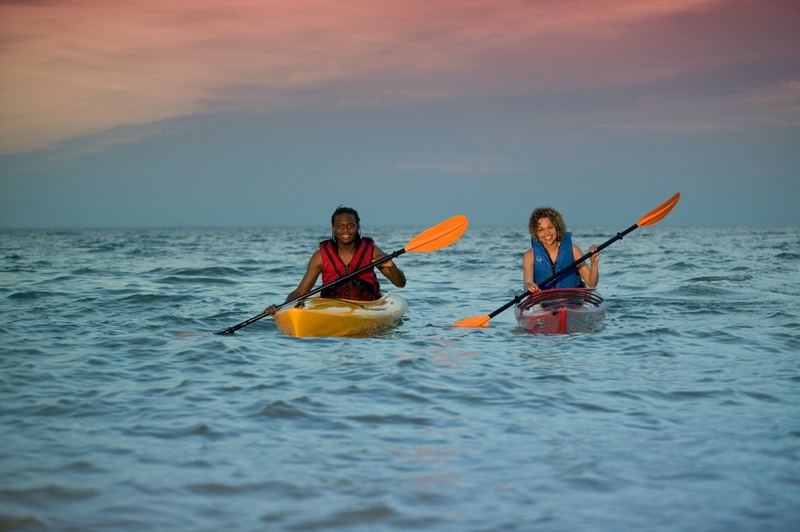 Bring your own kayak or canoe and start at Start at Little Island Park, a Virginia Beach city park astride the Atlantic. Leave the park and launch into Back Bay. 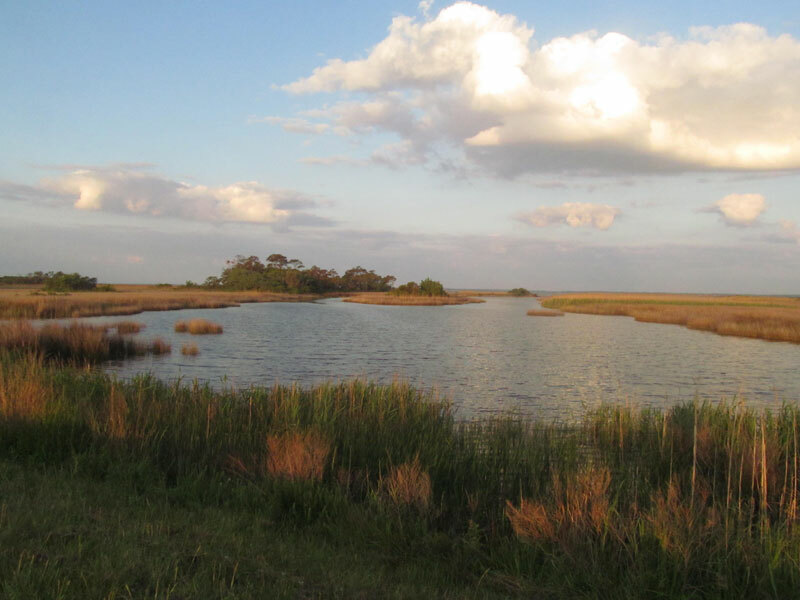 Paddle south through Back Bay National Wildlife Refuge to South Inlet and primitive campsites at False Cape State Park. Its 7-9 miles one-way to the camps. Campsites at the park are in four distinct areas – Barbour Hill Bay, Barbour Hill Ocean, False Cape Landing Bay and False Cape Landing Ocean. The bayside sites are canoe and kayak accessible. The others require an additional walk. While here, walk the beach or hike the 15 plus mile hiking trail system. The Adventure: Belle Isle State Park is an underused destination with excellent paddle-in camping opportunities as well as other activities, including drive up camping. The park is located on the banks of the lower tidal Rappahannock River. You can rent a canoe or kayak here by the day, or overnight. There are two launches at the state park, a canoe & kayak launch on Mulberry Creek and a full-fledged boat ramp on Deep Creek. The shortest route to the paddle-in camp starts at the canoe & kayak launch – only about a mile. Leave the launch and follow widening Mulberry Creek then open onto the big Rappahannock River. Reach a small beach on Brewer’s Point and land your craft. A short trail leads to a pod of nice campsites in a mix of sun and shade, with a fire ring, picnic tables and tent pad. Bring your own water. 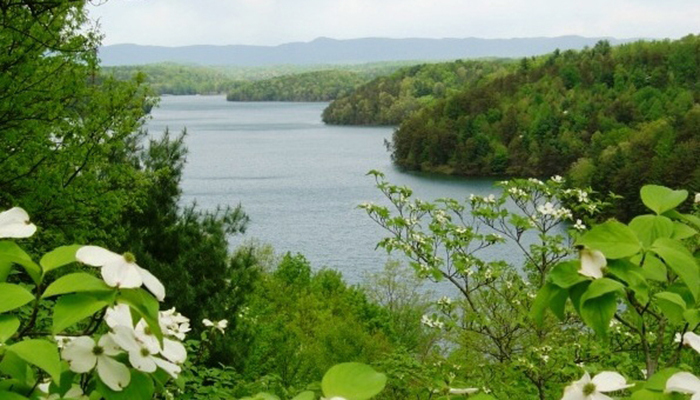 Alternatively, you can start at the park boat ramp on Deep Creek for a 3 mile outing. Open onto the big, wide Rappahannock. Take time for a side trip into Porpoise Creek. Hike along natural shores of the Rappahannock then make your way to Brewer’s Point. There’s plenty of other waters to explore should you desire to stay a few days. 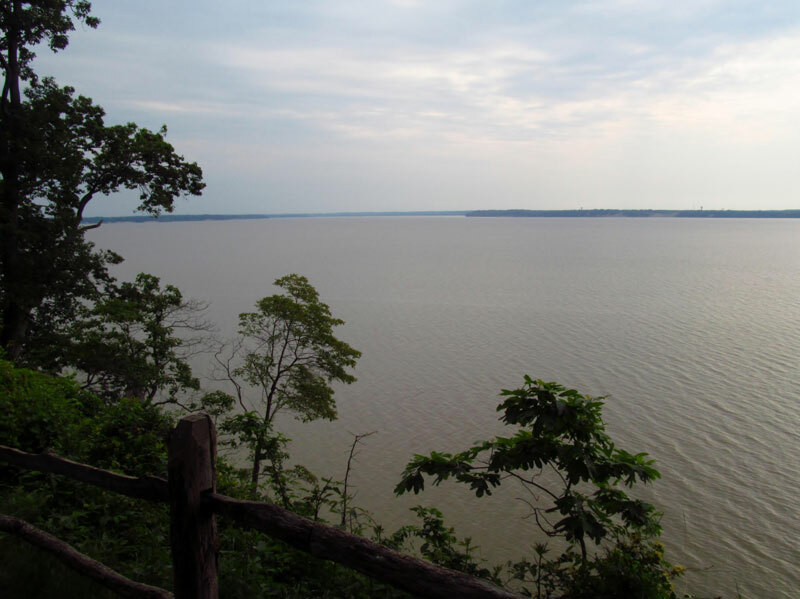 The Adventure: Leesylvania State Park is located on the tidal Potomac River, on the southern outskirts of Metro D.C. A historic destination rife with American history, water accesses and hiking trails, the park also has established four paddle in tent only campsites, part of the Captain John Smith Water Trail. The camps were built next to the park’s group campsite. The park’s canoe & kayak launch is mere feet away. However, the main park boat ramp is a half-mile away, making for a longer paddle. Overnight parking options in the area are limited, therefore I recommend launching at the park, setting up your paddling camp, then exploring the nearby waters. Circle around the north side of the park, passing bluff where Confederates placed cannon overlooking the Potomac. Heading south from the park leads you into bigger waters. Enjoy the land trails of Leesylvania State Park as well. The Adventure: Take a one-way downriver trip on Virginia’s biggest, most boisterous freshwater river and some will argue most beautiful mountain river. In certain sections of the lower New, camping options are limited by insufficiency of public lands upon which to camp. Therefore, if going down this part of the New, it is best to go on a guided trip with Tangent Outfitters, for they either own the islands or have permission from the landowner to camp on them. Looking for a one-night trip? Let Tangent take you from 17 miles from Claytor Lake Dam down to Whitehorn, camping on an island overnight mid-trip. This is a good float for those who desire calmer water or just want to fish for the famously large smallmouth bass that ply the New. A more whitewater intensive float – also with an overnight camp on an island — takes you from the VA 114 Bridge to Eggleston, also 17 miles. However, this float is mild at first then builds to a few Class II rapids, with one Class II-III rapid.